‘Legend’ is a word that is casually thrown around too often in our conversations. But if there is someone who really deserves this title, as far as Arsenal football club is concerned, then surely Arsene Wenger is your man. He has been serving Arsenal since the past 22 years, and finally after months of speculations, he has called time on his tenure as the manager of Arsenal. He has been a constant figure ever since I, and many others of my age, started following the Gunners. Today, everyone who knows a bit about football can easily recognise Wenger; he is a very well-respected coach among the football world. However, this wasn’t the case when he first arrived at the club from Japan all those years back. In fact, the Evening Standard came out with the headline, which became very famous after his popularity, “Arsene Who” on his arrival. From that moment on, there was no one in the football world who could question who he was again. He silenced all his doubters in a very short span of time. He was a visionary, he came up with such ideas and concepts that completely revolutionised English football. From strict diet plans to innovative training methods, he changed the face of the game. He was just like the Pep Guardiola of his time. Fitness, which wasn’t considered that important in English culture, became his primary concern. Sol Campbell once narrated that if any Arsenal player were to have sugar in his coffee or tea, then there was a Wenger-approved technique of stirring it in to make all the granules absorb. Such was the level of detail that he focused on, he was indeed a perfectionist. The hard years that he invested in players’ fitness and training gave dividends on the pitch. The Arsenal team of Wenger’s earlier years was exceptional and deadly. Other clubs tried to follow the scintillating football the Gunners were playing under the Frenchman’s guidance but sadly failed to do so. His team had everything; the towering presence of Campbell in defence, the powerhouse in the centre of the park in the shape of Patrick Vieira, the artistic and magic touch of Dennis Bergkamp, and finally, the biggest gift that Wenger gave to the English football and Arsenal fans in the form of Thierry Henry, who was one of the best players of his generation. 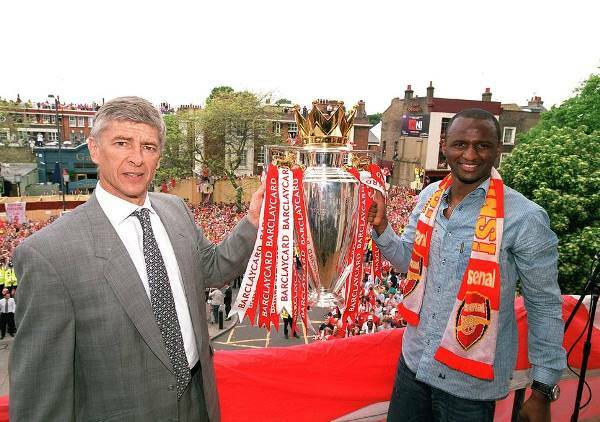 Everyone knew that Arsenal was good, but not even the most optimistic Gooner would have hoped for what he did in 2004. 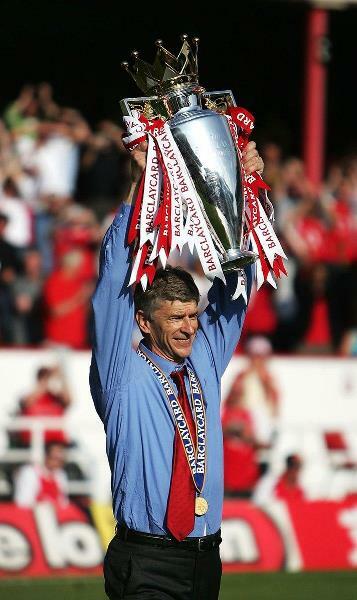 Wenger produced the ‘Invincibles’ and Arsenal went the whole league season unbeaten. That remains his biggest achievement and something that hasn’t been done ever since. 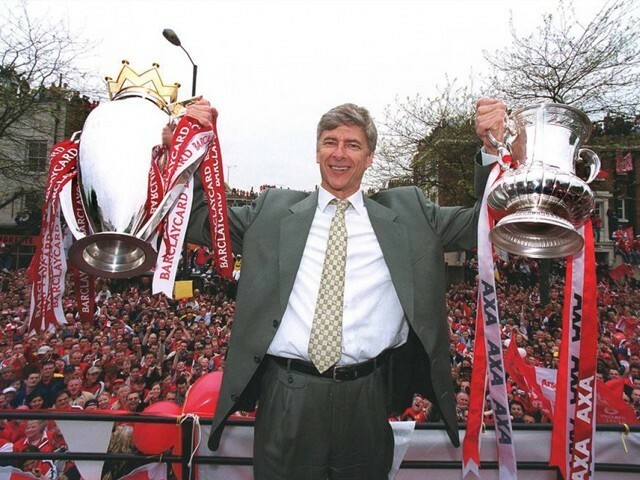 Wenger became the darling of North London. He was adored and loved by thousands of Arsenal fans. He was taking the club forward and the next step in that progression was the move from Highbury to a bigger stadium, so the club decided to make Ashburton Grove their new home. 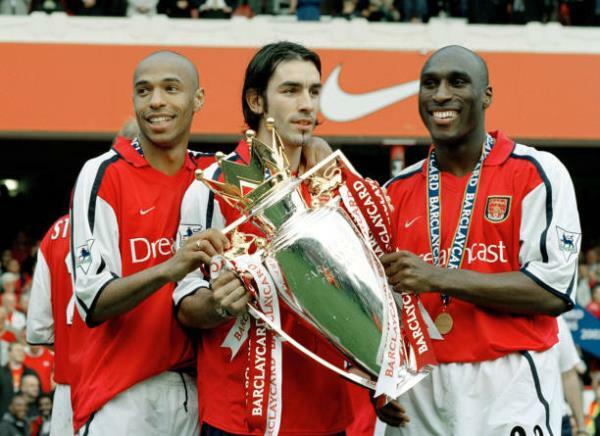 Stadium move requires massive fund, hence all the star players from the Invincibles team were sold to accommodate that. Arsenal had to operate on a much smaller budget, whereas the likes of Chelsea and Manchester City were backed financially by their rich owners. Suddenly, the landscape shifted and Arsenal no longer remained the top priority of any star player coming from abroad. That proved to be true in Wenger’s case. The club suffered a major trophy drought. For nine years, from 2006 to 2014, fans were starving for success. Unfortunately, Wenger couldn’t deliver any silverware and those barren years ultimately became the main source of his downfall. He himself raised the bar so high that fans demanded nothing but perfection from him. Working with financial strain, he found it extremely hard to replicate the success of his yesteryears. Football around him changed, but he remained the same. 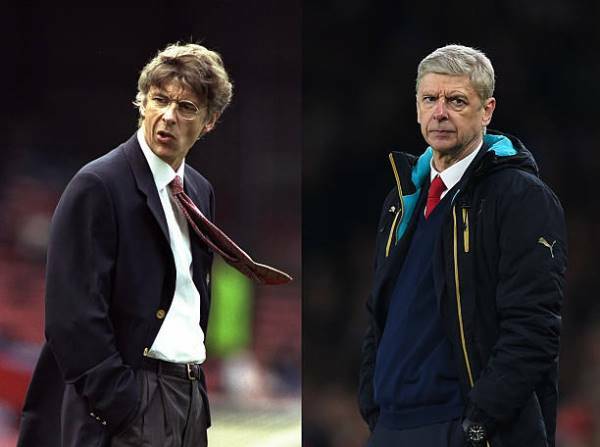 The likes of Jose Mourinho and Guardiola shook the world, but Wenger couldn’t reinvent himself. The gap between Arsenal and the elite clubs grew bigger with each passing year. That created unrest among the supporters. He did bring some success with three Football Association Challenge Cups (FA) in his last four years, but for many and most importantly the board members of Arsenal, this wasn’t enough. 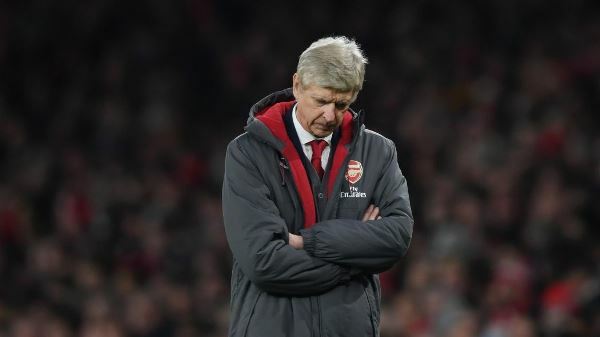 Something had to give in the end and it resulted in Wenger walking away, leaving Arsenal in a much better shape than what it was when he took over 22 years back. That was always his main objective and he has fulfilled it. Now the onus is on Arsenal fans and the players to give this greatest manager of their history the send-off that he deserves. Winning the Europa League, whose final is held in France, the home country of Wenger, will be the perfect and most fitting farewell. When he will be gone, only then we’d realise how much he has given to this club. Wenger’s era can be divided into two parts, with the former being the trophy-laden glory years in which he surpassed every expectation and defied the odds to beat the juggernaut of its time, Manchester United. And the latter part of his reign will be remembered as the one where he sacrificed his personal glory to put the club first and worked wonders with a very limited transfer budget. 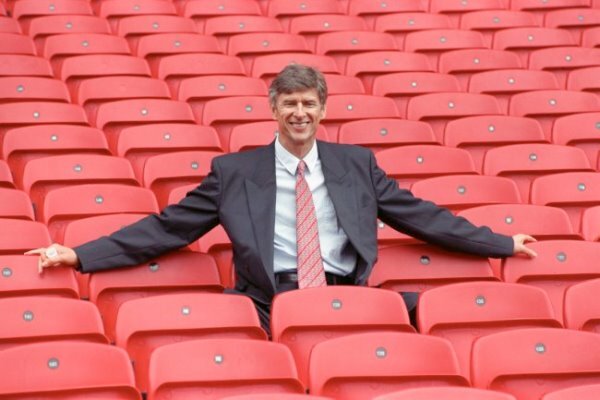 Arsenal is what it is today because of one man, Wenger. He truly deserves a statue outside Emirates Stadium. Once everything gets settled, Arsenal football club must move forward. This is the perfect time for them to rebuild under their new manager. I’m of the opinion that someone like Carlo Ancelotti could be the perfect fit for the Gunners, even though the club feels that he may not be the right man for the job. The Italian has been known for his calming influence and is famous for handling big personalities. The Arsenal squad is full of star players, so after Wenger, they need a manager who can straight away earn the respect of the players. They must not repeat the mistake of Manchester United and appoint a David Moyes kind of a figure. Arsenal is already languishing in sixth place in the league and they cannot afford to drop any further. So give the keys of the Emirates to Ancelotti and let him finish the job that Wenger started. Can Petr Cech help Arsenal bring home the Premiere League title?